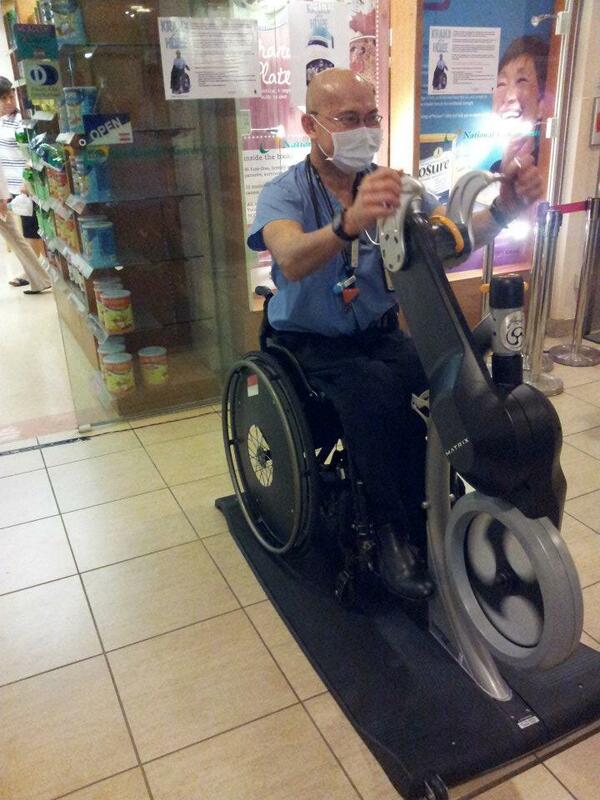 In National Cancer Center, Singapore, if you chanced into seeing a doctor moving around with a wheelchair, he is Dr William Tan, a medical doctor and a neuroscientist. 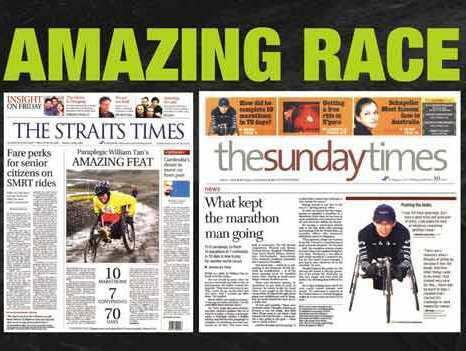 To many, he is not only a diligent doctor but also one of Singapore Heroes. 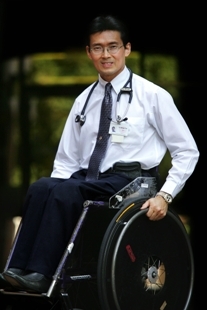 Dr William Tan contracted polio at the age of 2 and was paralyzed from the waist down. Life was not easy for him, as his father was the only breadwinner in the family. Despite the odds, Dr William works all way out towards his dreams and challenges. 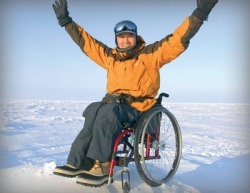 He is a wheelchair athlete and was the first person in the world to finish a wheelchair push in the Antarctica in April 2007. Same year on 19 December, Dr. William achieved another world record by becoming the fastest person in the world to complete 7 marathons across 7 continents in 27 days. This amazing race took him across countries like Antarctica, Chile, Egypt, Thailand, Japan, Kenya, Italy, England, New Zealand, and USA. Apart from all these achievements, Dr William has raise millions of funds for charity locally and internationally. Dr William has been diagnosed with end-stage leukaemia in 2009. But with his passion in life, the bone marrow transplant operation is already a success in his mind. The disease is just another mountain to climb and conquer. 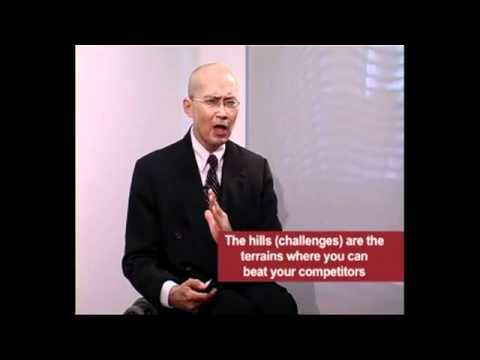 This entry was posted in Life / 生活 and tagged Antarctica, Chile, Hematopoietic stem cell transplantation, Kenya, life, New Zealand, postaday, Religion and Spirituality, Singapore, Thailand, William.